Anime Banzai was last weekend and it was a blast! this episode has been up since Friday, now the accompanying blog-post can join in! I hope those who attended Anime Banzai had tons of fun. The Stitch and Seam Team had a lot of fun collecting Horror Stories for the Halloween Episode coming up. 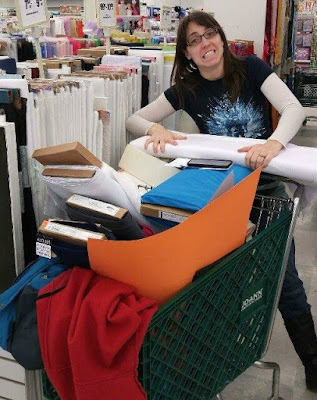 Although we advise avoiding making cosplays in a time crunch here is an episode with advice on how handle a fast paced, deadline demanding, cosplay speed build. Sometimes it is unavoidable so here is how to speed build with keeping your health, and hopefully mind, sane. VFire on a shopping spree. 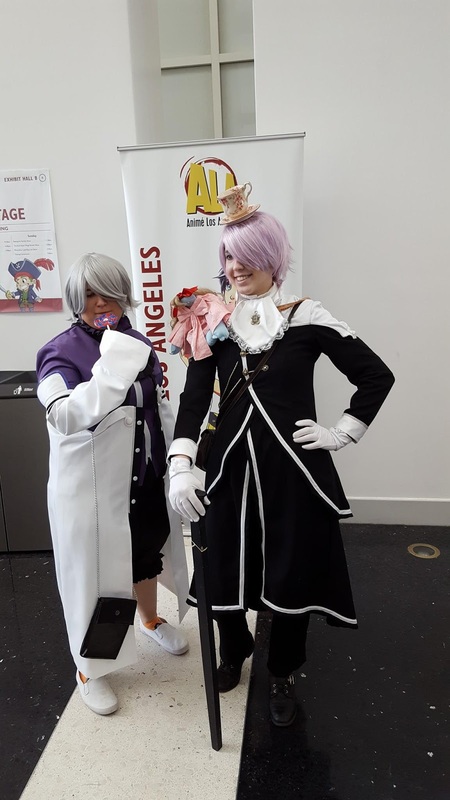 Megan as Xerxes Break and VFire as Pandora Uniform Xerxes Break. Mad hatter tea party fun times were had.